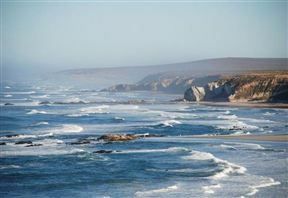 The windswept beach at Strandfontein is typical of most West Coast beaches with the addition of an impressive fringe of stark ochre cliffs. Sea temperatures rarely get above 12˚C and the exposed coastline is often storm lashed in winter. It’s a great place for taking long invigorating beach walks and beachcombing for the pretty pebbles scattered along the shoreline. The sunsets are sublime and whales are frequently seen. Besides excellent crayfishing, mussel collecting and fishing opportunities, Strandfontein offers numerous watersport options. There is a slipway to launch rubber ducks and a safe tidal pool for kids to paddle in. 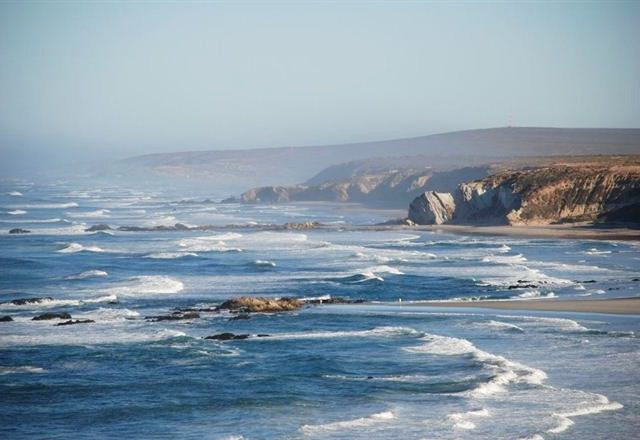 Strandfontein Beach is 1km from the centre of Strandfontein , the nearest airport 249.7km (Cape Town International Airport).